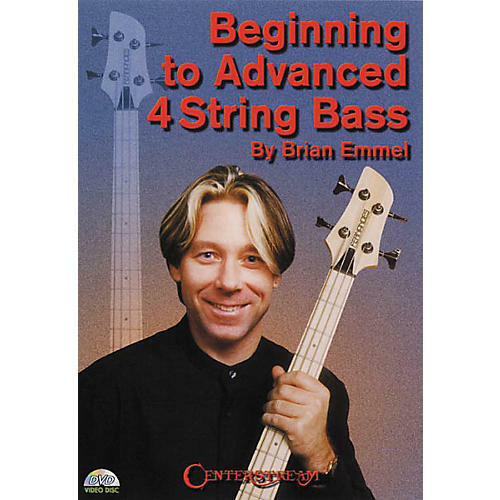 This instructional DVD by noted instructor/author Brian Emmel leaves no stone unturned in explaining all there is to know about 4-string bass basics! Designed for the beginning to advanced player, Brian's step-by-step demonstrations form the foundation for understanding music theory and building bass technique. Topics covered range from common musical terminology, to playing in a garage band, to laying down tracks in a recording studio. Brian's easy explanations and helpful examples cut through any confusion for clear comprehension. A must for any player who's never really understood music theory! Booklet included. 60 minutes.